I really felt for this guy. I mean complete and utter sympathy. One moment his church was easily found. The next minute it was lost deep in the search engine jungle and could only be found if you hacked through the deep undergrowth of search pages. Another reason my I completely felt his pain was that he was being what leaders do of churches of that size are, effectively what I call a ‘Swiss Army Knife Leader’. A leader who because of the small size and budget of the church, has to have many functions and cover many roles, some of which like this one is so completely away from why he probably started in his vocation in the first place. When he started Bible college I bet he wasn’t expecting to have to think about SEO! But social is only part of the online story. It is a great way for your church to be seen by people as people engage with your leaders or official social presence. 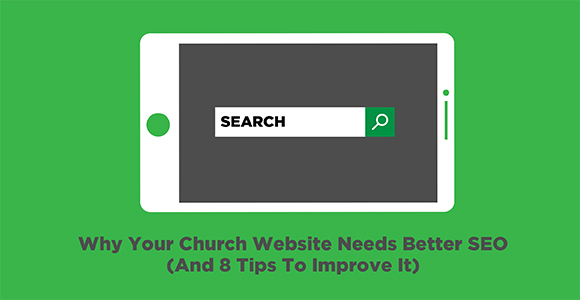 But did you know that the majority of people will find your church website by using key search terms in a search engine? When someone moves into your neighbourhood or city and they are looking for a new church to check out they will usually google churches. At key times of the year when people are actually thinking about visiting a church they will be using terms like Easter or Christmas church services. One of the most common terms is actually provided by Google and it’s called ‘churches near me’. 1. Submit your church URL into Google. Read more here. There are also a few more SEO tips in the post too. 2. Google Plus. Yes, Google plus is still alive and kicking. While it may not be an active social channel for you (or I) if you populate a Google Plus business page with photos, all the relevant service information that page will always rank higher than churches that don’t have one. 3. Page speed load. I love what this blog has to say how the speed of your page loading will impact how high you may appear on Google search. 5. Take 360 photos of your church and upload them into google maps. Love this idea Kenny! Read more here. 6. Blog on your church website and mention the location and service times. 7. Leverage Meta tags and title tags (read more here). Okay this is the geekyist tip of the lot, but it is still good. 8. Have your full address on your church website landing page. Let the google search robots find your address on your page and add it to their results. Every little bit helps. If you put some effort into taking on board these tactics then your church will definitely go up the Google search rankings. 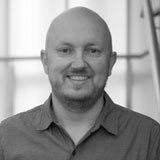 Have you mastered the art of Search Engine Optimisation for your church? I’d love to hear from you on how you got noticed. Do you have any questions about SEO for your church? Comment below. some great tips again Steve. pretty technical kinda stuff but you simple tips above along with a well formatted website with good relevant content goes a long way in google’s eyes. You’ll also find more ‘Christian’ things on other search engines to Google. For some reason Google doesn’t index religion well at all… (hup hum). #6 makes me cringe how many churches don’t have service times, or have a picture of a global pastor (someone you’ll never meet) on a local campus page… Put the people you’ll meet on your campus/location pages; a familiar face is always great. List your events on christianevents.net.au (shameless plug) and Aussie Christian Gigs on facebook (if music related)… the more relevance in a topic (aka other sites relevant linking to you) the better. Hey Steve, good tips. I recommend starting with getting your address on the homepage and city/state/country in the title tag. Next create, claim, verify an update your church’s Google Maps listing. After that ask people in your congregation to post reviews on Google. It can be be challenging to get your church to rank well in Google, especially if you’re in a city that has dozens or hundreds of churches, so if anyone feels overwhelmed with trying to do this or doesn’t have the time to learn SEO, this is something we at OurChurch.Com specialize in. Love this Paul! Yes I didn’t want to dive into the detail on the title tag tip, but its in tip 7 the link to the post! Good stuff buddy and always good to hear from an experienced pro like yourself! Titles and other meta may be the geekiest but they’re also one of the most important. They’re also fairly easy to get right most of the time – the difficulty comes with the content management system your church website lives on. If it’s not easy to edit meta in your CMS, I’d question the service you’re using.